On May 6, a rocket lifted off bound for the International Space Station (ISS). On board is a liquid flow sensor from Sensirion. The sensor is part of a research project by Minnehaha Academy in Minnesota that is investigating the impact of microgravity on the effectiveness of liquid flow. Among other potential findings, the project aims to shed light on the effects of weightlessness on the circulatory system. 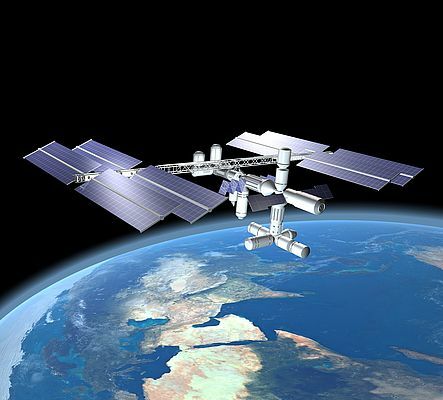 The LS16 liquid flow sensor from Sensirion on board the ISS will measure the flow of demineralized water generated by a piezoelectric pump in zero gravity, and compare the results with those of a control experiment on earth. Numerous applications in fluid dynamics, physics, biology and hemodynamics (the forces involved in the circulation of blood) will benefit from these findings. The research team is extremely satisfied with the sensor. "Our experience with the Sensirion LS16 sensor has been outstanding - the LS16 has been accurate, precise and durable," says Max Thompson, Student Project Manager at Minnehaha Academy. But Sensirion did not just supply the sensor for the experiment, its developers also helped out in an advisory function. For instance, the LS16 liquid flow sensor had to be modified for the launch: to ensure that the sensor could withstand the enormous forces during lift-off, Sensirion's development team replaced the capillary glass tubes with robust capillary steel tubes. "Our project would not have been possible without the generosity, time and amazing commitment from Sensirion to make the flow sensor flight-ready," says Max Thompson.